PHNOM PENH, Cambodia, June 28, 2013 (ENS) – The UNESCO World Heritage Committee has added five natural areas of outstanding universal value to the World Heritage List during a 12 day meeting that concluded Wednesday in Cambodia. The new inscriptions bring to 222 the total number of natural places worthy of the highest level of international protection. The five newly inscribed areas range from deserts in Namibia and Mexico, to Italy’s Mount Etna, to mountainous stretches of China and Tajikistan. The site in the Xianjiang Uygur Autonomous Region extends into the Taklimakan Desert, one of the world’s largest and highest deserts, known for its huge dunes and great dust storms. The landforms and ecosystems of this site have been preserved since the Pliocene epoch, which began roughly five million years ago. Italy’s new Mount Etna World Heritage Site is on the highest part of the mountain on the east coast of the island of Sicily. Mount Etna is the highest Mediterranean island mountain and the most active stratovolcano in the world. The eruptive history of the volcano can be traced back 500,000 years, and at least 2,700 years of this activity has been documented. The almost continuous eruptive activity of Mount Etna continues to influence volcanology, geophysics and other Earth sciences. Mexico’s new El Pinacate and Gran Desierto de Altar Biosphere Reserve World Heritage Site is composed of two distinct parts – to the east is the dormant volcanic Pinacate Shield of black and red lava flows and desert pavements, with its 10 deep circular craters. 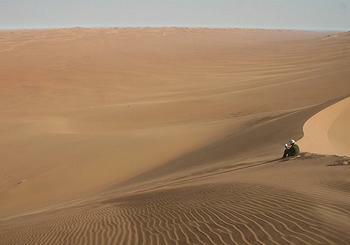 In the west, the Gran Altar Desert features linear, star and dome dunes and towering arid granite massifs. The site supports freshwater fishes native to the area and found nowhere else, and the Sonoran pronghorn, an antelope found only in northwestern Sonora and southwestern Arizona. Namibia’s new Namib Sand Sea World Heritage Site is the world’s only coastal desert where fog influences extensive dune fields. Fog is the primary source of water on the site, creating a unique environment in which unique native invertebrates, reptiles and mammals adapt to an ever-changing variety of microhabitats and ecological niches. Covering over three million hectares (11,580 square miles) with a buffer zone of 899,500 hectares (3,470 square miles), the site features two dune systems – one ancient and stable and the other younger and more active. There are gravel plains, coastal flats, rocky hills and inselbergs within the sand sea, as well as a coastal lagoon and transitory rivers. Tajikistan’s new Tajik National Park World Heritage Site is the country’s first natural site and covers more than 2.5 million hectares (9,652 square miles), almost one fifth of the country. At the center of the so-called “Pamir Knot,” a meeting point of the highest mountain ranges on the Eurasian continent, the site includes the longest valley glacier outside a polar region. 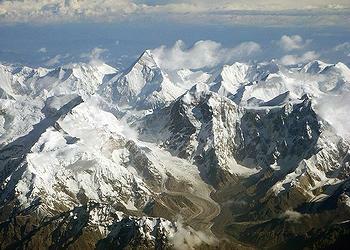 It is just one of the 1,085 glaciers on the Tajik site, which also contains 170 rivers and more than 400 lakes. The site supports rare and threatened birds and mammals such as Marco Polo argali sheep, snow leopards and Siberian ibex. With extreme seasonal temperature variations and frequent strong earthquakes, Tajik National Park is sparsely inhabited and unaffected by agriculture and permanent human settlements. 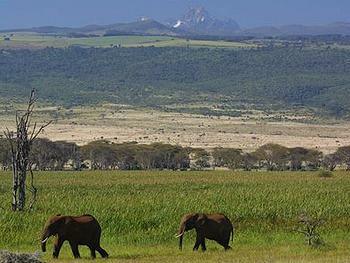 The World Heritage Committee also approved the extension of two natural sites in Africa – in Lesotho and in Kenya. The Committee inscribed Lesotho’s Sehlabathebe National Park as an extension to South Africa’s uKhahlamba Drakensberg World Heritage Site. The expanded site covers Sehlabathebe’s African alpine tundra ecosystem with its 250 endemic plant species. The Committee called the Lesotho park “a spectacularly beautiful watershed area” that hosts plants and animals of scientific importance, such as the Maloti minnow, a critically endangered fish found only in the park, and two endangered species of vulture. Now called the Maloti Drakensberg Tranboundary World Heritage Site, the park features rock paintings made by the San people, who have been living on the site for 4,000 years. In Kenya, the Committee approved the extension of Mount Kenya National Park to include the Lewa Wildlife Conservancy and the Ngare Ngare Forest Reserve. Lewa and Ngare Ndare Forest Trust work as partner organizations for sustainable management and share security forces to protect the threatened elephants and rhinos that move freely between the two areas. The Kenyan government, which submitted the extension nomination for the World Heritage Committee’s consideration, is involved in these conservation efforts through the offices of the Kenya Wildlife and Kenya Forest Services. In addition, the Government of Australia approved a previous recommendation of the World Heritage Committee to extend the boundary of the Tasmanian Wilderness World Heritage Site to include stands of giant eucalypt trees that environmentalists have fought for 30 years to protect. At this session, the Committee affirmed its agreement with this extension. Additional habitat for rare and threatened species such as the endangered wedge-tailed eagle and the Tasmanian devil are included in the boundary extension. 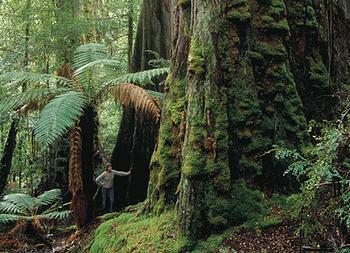 Australian Environment Minister Tony Burke said the boundary extension was a “key environmental outcome” of the 2011 Tasmanian Forest Agreement between the Commonwealth Government and the Government of Tasmania, Australia’s island state, with the support of industry and union groups. “These are extraordinarily precious areas of forest and they have been added through an agreement with industry … where forestry will continue in areas that are less contentious that don’t have those same high level of conservation value,” Burke said. Japan’s Mount Fuji was added to the World Heritage List as a cultural site that recognizes the mountain as a source of artistic inspiration. Fujisan’s natural resources will be protected by the listing as well. The inscribed property covers 25 sites which reflect the essence of Mount Fuji’s sacred landscape. In the 12th century Fuji-san became the center of training for ascetic Buddhism. On the upper slopes of the mountain, pilgrim routes and crater shrines have been inscribed on the World Heritage List alongside sites around the base of the mountain that include Sengen-jinja shrines, Oshi lodging houses, and natural volcanic features such as lava tree moulds, lakes, springs and waterfalls, which are revered as sacred. A cultural site approved this week for China will also protect natural areas. The Cultural Landscape of Honghe Hani Rice Terraces in southern Yunnan province is marked by terraces that cascade down the slopes of the Ailao Mountains to the banks of the Hong River. Over the past 1,300 years, the Hani people channeled water from the forested mountaintops to the terraces and created an integrated farming system that supports the production of red rice. “The resilient land management system of the rice terraces demonstrates extraordinary harmony between people and their environment, both visually and ecologically, based on exceptional and long-standing social and religious structures,” said the Committee, approving China’s nomination. The new natural listings bring into the World Heritage List a total area of over seven million hectares (27,027 square miles), an area roughly the size of Ireland. Last week, East Rennell in the Solomon Islands was added to the List of World Heritage in Danger, following the advice of IUCN. Ongoing logging at a commercial scale and the related introduction of invasive species are threatening the island’s ecosystem, said Badman. IUCN expressed concern that a large and increasing number of natural sites around the world remain under pressure from industrial extractive activities, poaching and wildlife trafficking, and the construction of roads and hydroelectric dams. “It is the shared responsibility of the State Party, private sector and civil society to tackle these threats,” said Cyril Kormos, vice-chair for World Heritage of IUCN’s World Commission on Protected Areas. A report adopted by the World Heritage Committee at the meeting warns that oil exploration and continued unrest could lead to irreversible damage and ultimately to the possible removal of the Democratic Republic of Congo’s Virunga National Park from the World Heritage List.